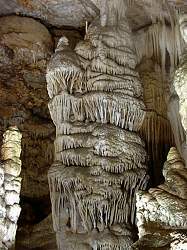 Image: a massive stalagmite. © Ulli Riemer, with kind permission. Location: Near Campanet, Mallorca. From C713 Palma - Alciúdä, 34km from Palma, 16km from Alciúdä turn north on PMV-2132 2km to Campanet. 2km to the North. 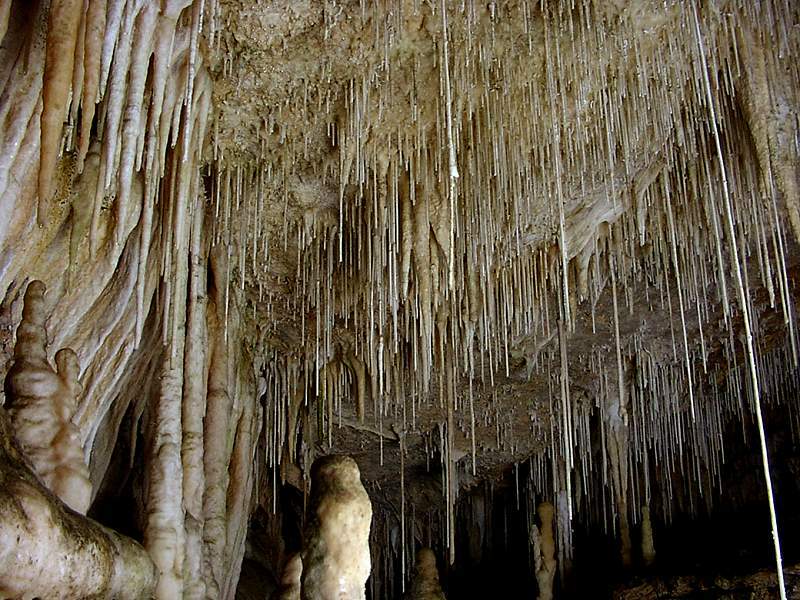 Forty kilometers north east of Palma de Mallorca is a small village which gives its name to the cave - Campanet. The quickest route is via the C-713 Palma to Alcúdia motorway taking the exit atkm 39 signposted Cami de na Pontons. Fee: Adults EUR 9, Children (4-14) EUR 2.50, Children (0-3) free, Seniors EUR 2.50. Guided tours: L=1,300m, D=40min, in several languages. Bibliography: Oldham, Anne (1972): Majorca, The British Caver, Vol 59, pp 5-10. JUN-1945 discovered by workers digging a well. 10-NOV-1948 opened to the public. 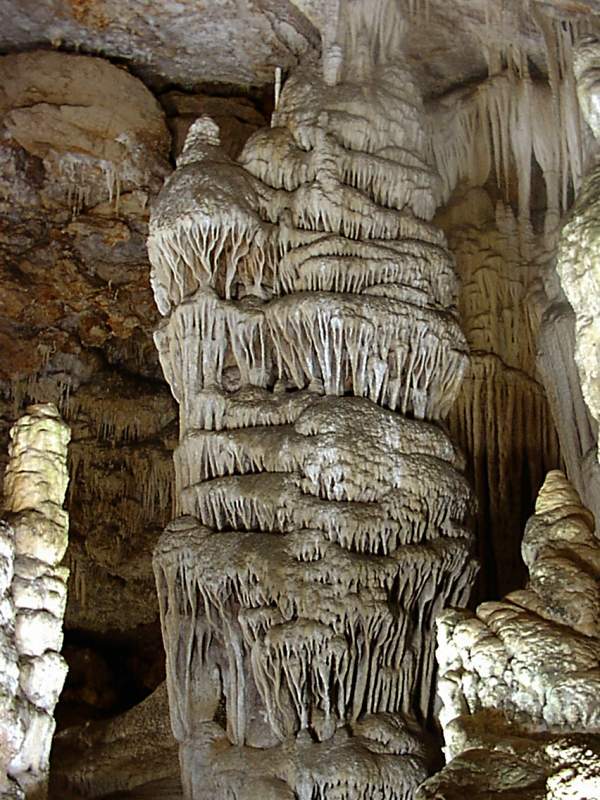 Image: abundance of speleothems. © Ulli Riemer, with kind permission. 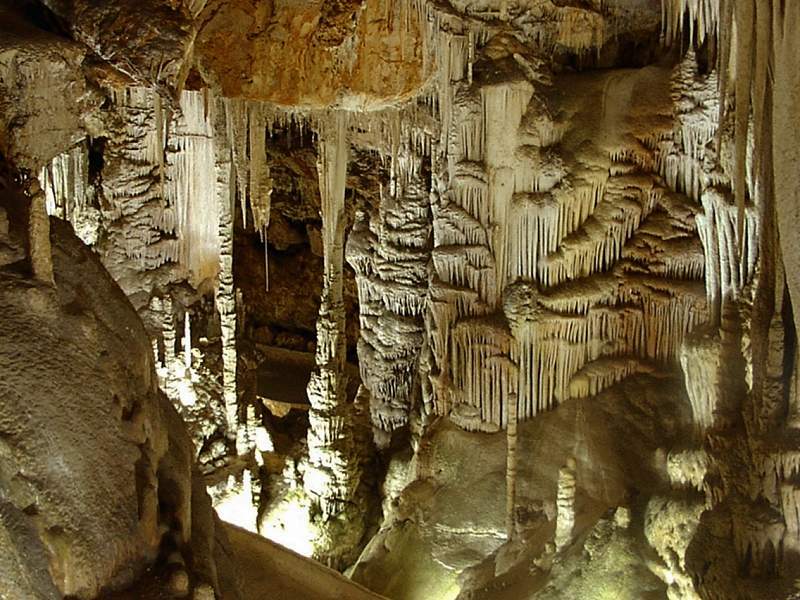 The cave was discovered in 1945 whilst workers were digging a well and opened to the public in 1948. 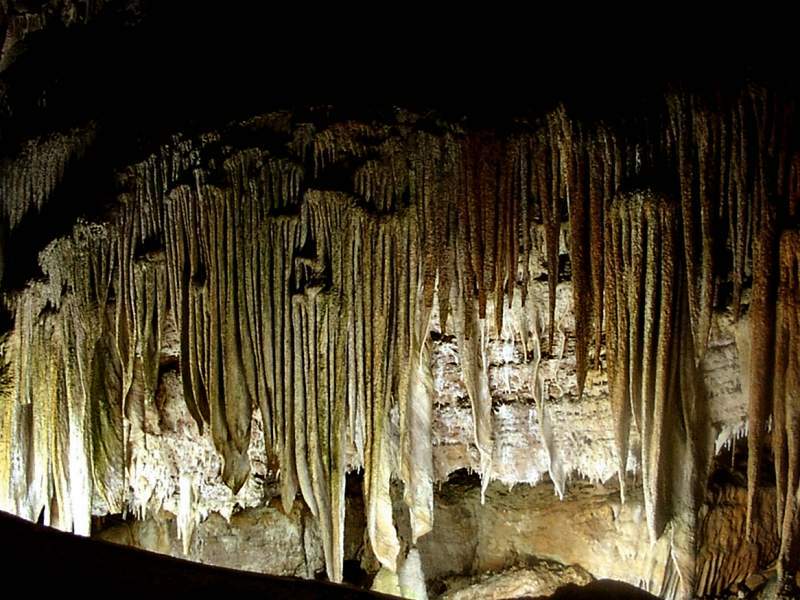 Although not as crowded as some of the other caves on the island, the speleothems alone are well worth a visit. The cave is consists of several chambers which extend to just over 300m. They are formed in the dolomites of the Upper Triassic of the Rhaetian Age. 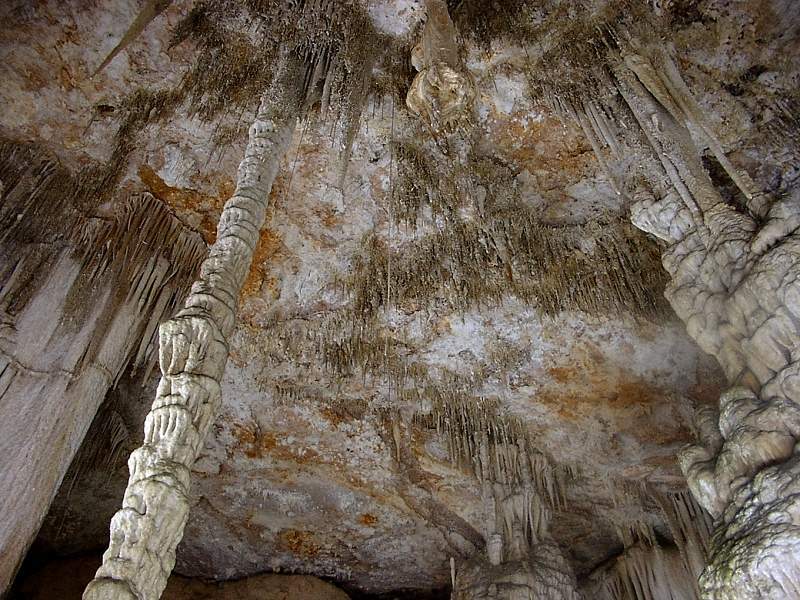 A short artificial tunnel leads to the Sala de la Palmera or Palm Tree Chamber. To the north west a low passage leads to the Sala del Llac or Lake Chamber which is graced by a crystal clear lake which reflects the surrounding spelothems. A circular route around this chamber leads back to the Sala de la Palma. Travelling north eastwards one enters the final room, the Sala Romántica or Romantic Chamber. This is the largest chamber in the cave being 50m across and 10m high. 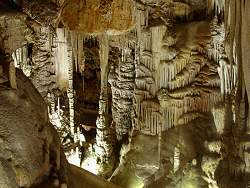 The chamber is noted for the massive stalagmite columns. It began, when Guillem Torres i Cladera, the owner of this Possessió, decided to dig a well. He needed water for his fields, and so he was looking for a good place where ground water could be found. His Bartomeu Palou i Bennàsser, who was the waller of the farm, know about the small hole in the ground, only 15cm in diameter, which emanated cool and humid air. He also thought there was the sound of water, and so they tried to open the hole and to reach the water. As a result they discovered the cave. Bartolomeu built a stone staircase into the cave and Antoni Salvà i Torres aquired the permission to run a show cave. The surroundings of the cave were built by the architect Josep Ferragut. 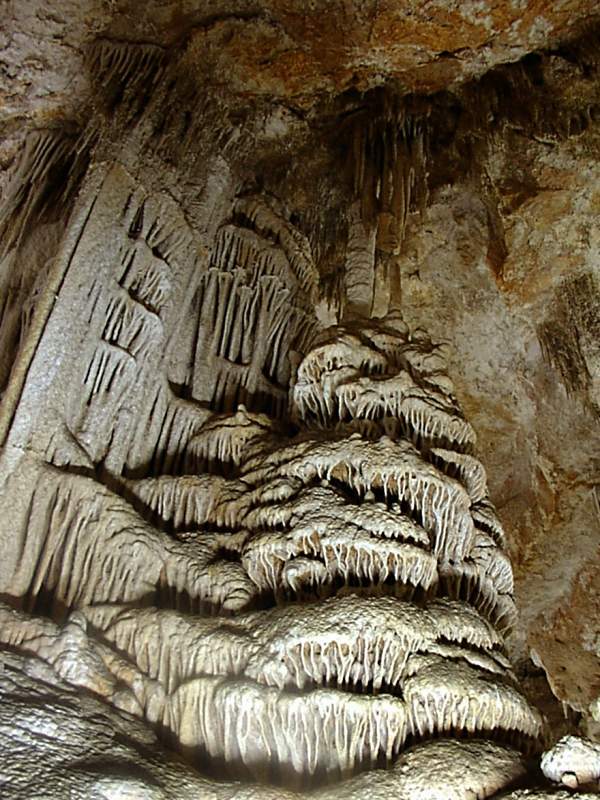 The cave was developed and opened to the public on the 10-NOV-1948. Search Google for "Cuevas de Campanet"